Our vision of the Enterprise Digital Footprint (EDF) is gaining exponential acceptance. Cimpl is now a recognized name in Technology Expense Management (TEM). Your participation in the Cimpl Community has made it all possible. Thank you for playing a crucial role in shaping the direction of Cimpl. 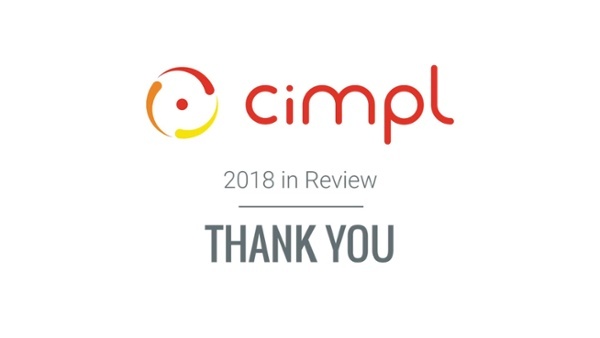 Thank you for making 2018 such a great year at Cimpl. As the new year starts, we look back at 2018 and what made this year so incredible for Cimpl. From customer events and new platform functionalities to strengthening the Cimpl Community, there are a lot of people who made all of this possible. We wanted to thank all of them for their contribution to making 2018 another incredible year at Cimpl.